Mount Brandon viewed from Béal Bán, Ballyferriter. 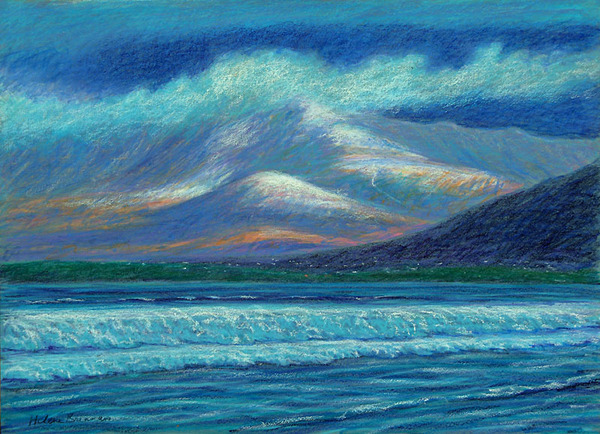 The Highest mountain on the Dingle Peninsula, St. Brendan the sailor/navigator went up there to pray before making his legendary trip to America in his leather boat. Original picture is chalk pastels. Only available as a limited edition print. Unframed. Shipped in a tube. Framing available if picture collected. Prints available on request.